At least you ahve the photos to put them all back up in the right order! Hey, wait a minute. 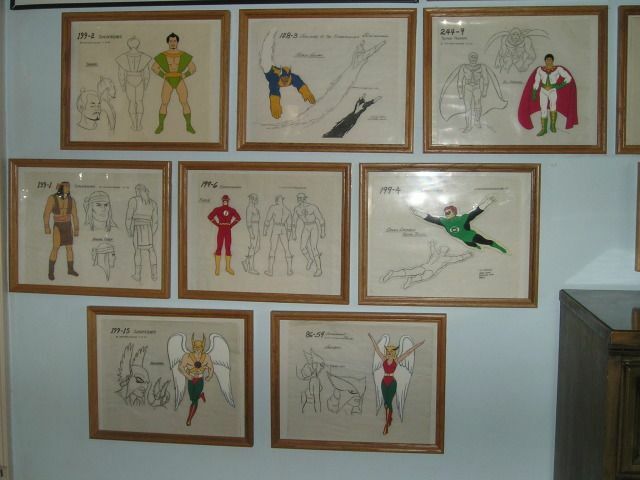 How come it's Hawkman but Hawkgirl? Lately I´ve been wanting to get stuff related to favorite movies. I already got a bunch of Brokeback things of course. Now I´m waiting for my Thunderheart poster to arrive. I´m also looking to buy a Pump up the Volume poster (se below). Surely it must be a sign that I´m getting old, wanting to collect stuff from my past. Heh. If you think that's bad, you should see how much time I'm spending now watching TV shows from my childhood and even from before that. Well, ask DC Comics, the same company that gave us Batgirl, Super Girl, and I'm sure others. I haven't updated here for a while. 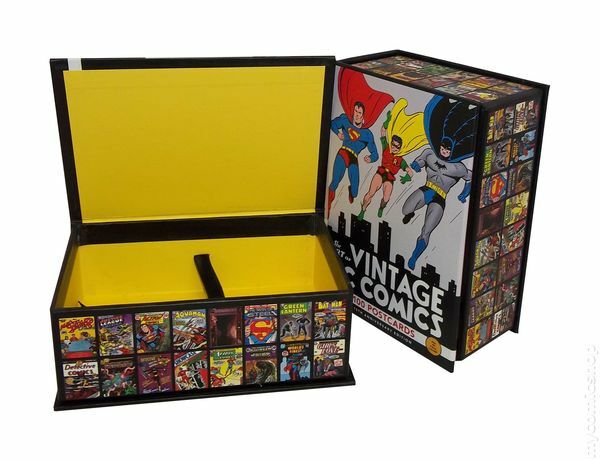 It is a collection of 100 post cards that replicate various DC Comics covers. 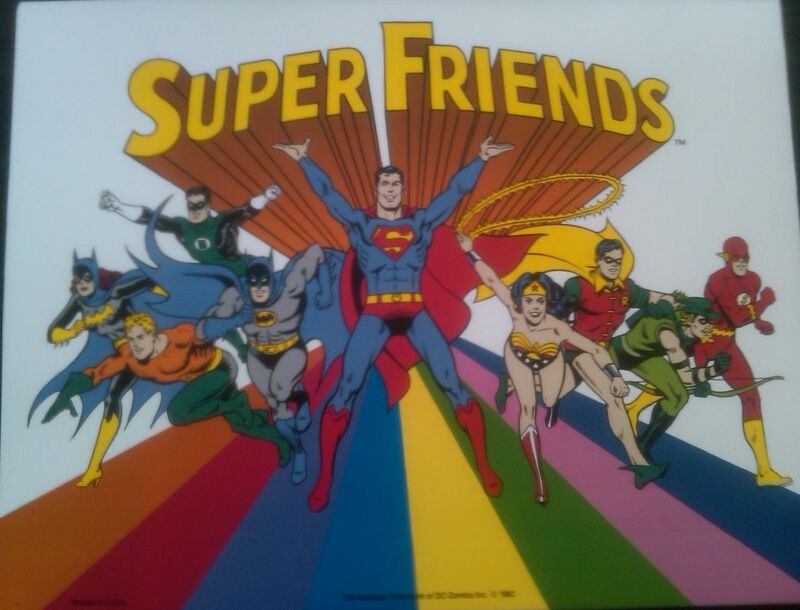 Some of the titles include: Justice League, Wonder Woman, Hawkman, Batman, Green Lantern, Supergirl, Black Lightning, Teen Titans, and there even is a copy of Super Friends #1. Here is a selection of some of the cards, I didn't take this pic. It's hard to make out, but if you look on the upper right side of the heart, you'll see the cover of "The Flash", the card has a yellow band across the top. To the immediate right of that card, is the Super Friends card. My collection of Super Friends action figures. A true collection would be "mint in box", but I found this in great condition, loose, on ebay. Two of the three items I won on ebay (am I the only one who still uses ebay> LOL) arrived recently. They're going on my wall, framed, but they're a bit of a curiosity. 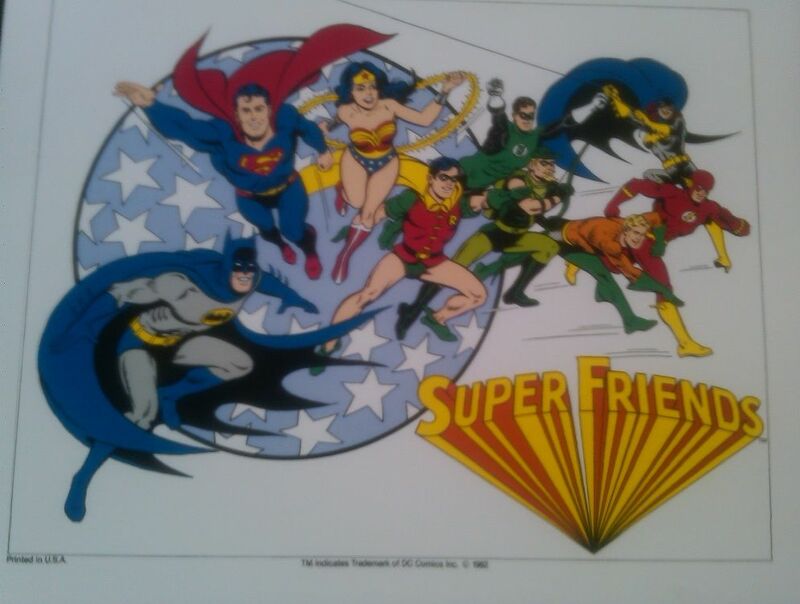 They are group images of The Super Friends. They have the official logo, the "Tm" to show they're trademarked. The line up is very similar to the one on the show, Superman, Wonder Woman, Batman, Robin, Aquaman, Flash, and Green Lantern. However, for some odd reason, Green Arrow and Batgirl are both added to the line up. Green Arrow as a guest star on one episode, in the very first season. Batgirl never appeared. Same line up, different pose. Once again including Green Arrow and Batgirl. I don't know if this line up was suggested at one point, and then scrapped, but it's pretty interesting. The third item I won via ebay arrived. a "mini" poster....size 16 X 20. 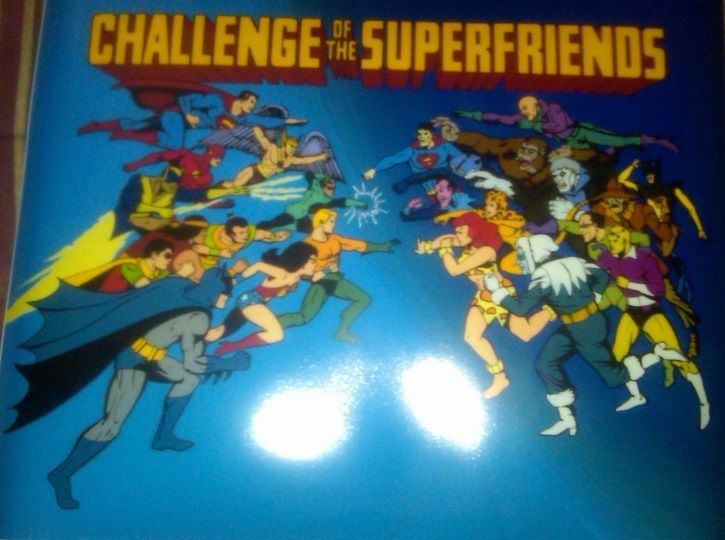 The heroes and villains of Challenge Of The Super Friends. The "white spots" are not on the item I won, they're from the flash when I took the pic.